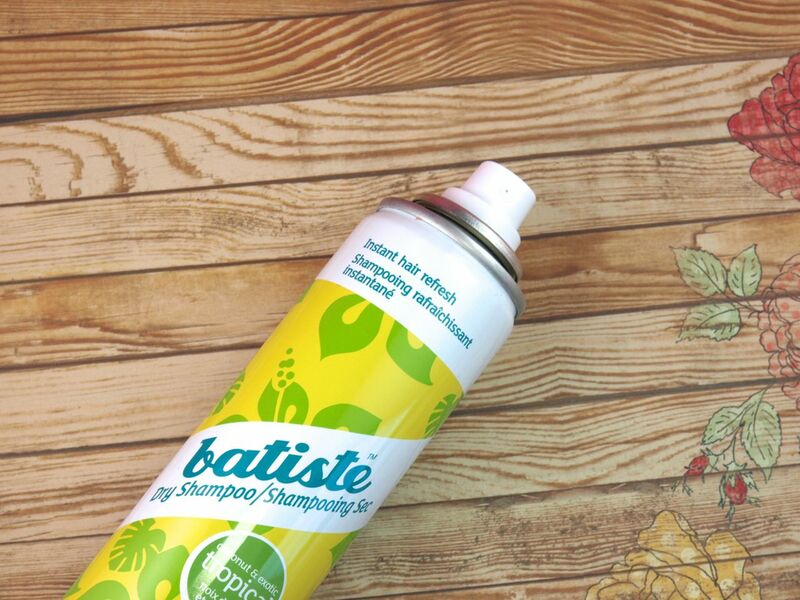 If you love the original Batiste Dry Shampoo, then you will this Tropical version, perfect for the summer months. The Tropical version not only banishes greasy roots and provides the hair with a refreshing lift, it also leaves behind a very yummy coconut and pineapple scent. 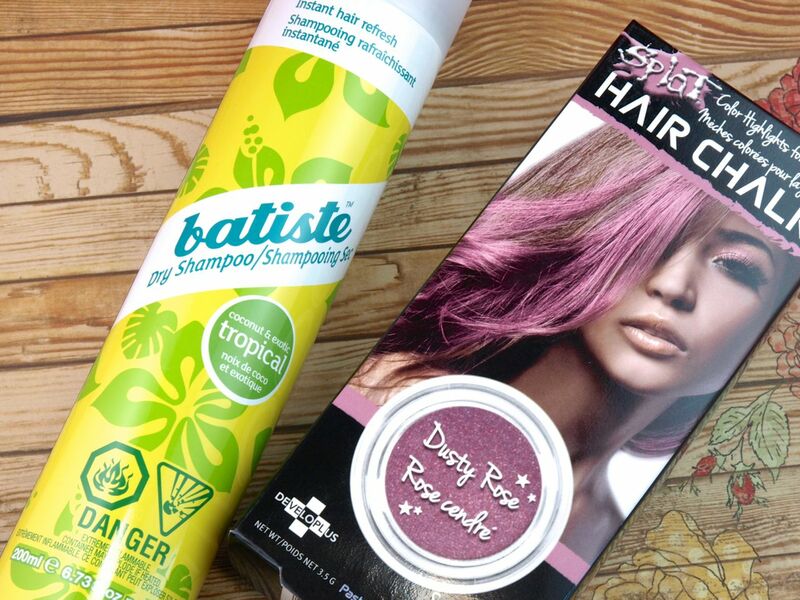 Batiste Dry Shampoo doesn't leave behind any yucky residue or a white cast over dark hair so it's always been my go-to fix for second-day hair. Packaged in a small plastic eyeshadow compact, the Splat Hair Chalk lets you easily add temporary highlights to your hair without going to the salon or even wetting your hair. To use, simply press the chalk on small sections of hair that you want colored and set with hairspray to help the colors last through the day (the product comes out when you wash your hair). A small sponge is included to help highlight braided hair. 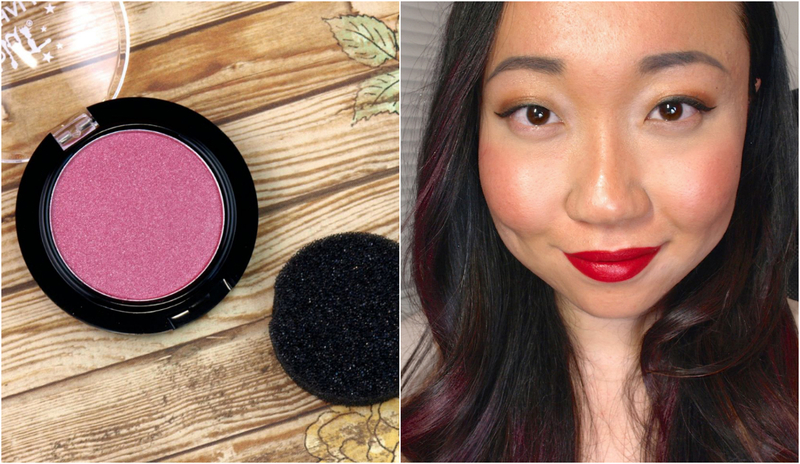 I tried the color "Dusty Rose" and I like the subtle color and shimmer it gave. The pigmentation showed up ok on my black hair but for those with blonde or lighter brown hair, the hair chalk would look a lot more vibrant. The application is a bit messy so make sure to work over the sink to prevent fall-outs from collecting on the floor or your cloths. Have you tried either products? What's your summer hair must-have? Let me know in the comments below! Batiste is available online at Farleyco and in stores at London Drugs, Rexall, Lawtons, Shoppers Drug Mart, and Pharmasave. Splat is available online at Farleyco and London Drugs, Rexall, Lawtons, Shoppers Drug Mart, and Pharmasave.